Both the House-passed version of ACA repeal legislation, the American Health Care Act (AHCA), and the Senate’s version currently under deliberation – the Better Care Reconciliation Act (BCRA) – include a particularly debilitating change: a per capita cap system of funding for Medicaid. This change would dramatically cut federal Medicaid funding to states. It would force states to make difficult decisions between benefit cuts, provider payment cuts and changes to eligibility requirements – or all of these in varying measure – in order to balance their budgets. Analyses have pointed out how a per capita cap system would lead to significant underfunding of long-term services and supports (LTSS), penalize adults and children with disabilities, lead to significant shortfalls in state funding and cause financial challenges for providers. Of particular significance for Medicaid beneficiaries who need support with activities of daily living (ADLs) due to functional or cognitive impairments, such caps would cause a shift away from home and community-based services (HCBS) toward institutional care facilities such as nursing homes. This would reverse a positive 20-year trend toward allowing individuals to age in place with services coming to them, rather than the other way around. Why would such services be at risk under a per capital cap approach? Because providing LTSS through HCBS are optional benefits under Medicaid rules, and have been implemented on a state-by-state basis, while institutional care is a federally mandated benefit. Therefore, when financially strapped under a per capita cap system, states would cut HCBS before institutional care, despite HCBS providing quality care at lower costs, and in the setting preferred by the majority of consumers – their own home. In addition to the direct effects of per capita caps, the downstream effects are also significant. One of the most harmful impacts of the proposed per capita cap system is that that there would inevitably be fewer funds available to pay para-professionals providing HCBS. Home health aides and personal care aides provide the bulk of HCBS and comprise one of the fastest growing sectors in the U.S. economy, growing by roughly 7 percent per year and accounting for roughly one in five health workers. Reflecting the rapid aging of the U.S. population, the Bureau of Labor Statistics estimates an additional 1.1 million direct care workers will be needed by 2024 – a 26 percent increase over 2014. The resources to pay for these services and attract workers into this sector would decline under a per capita cap system. Moreover, these workers are currently among the lowest paid in the health care workforce and because states would face pressures to reduce HCBS expenditures, their reimbursement rates would likely be cut. There would also be a health equity impact, since nine in ten home care workers are women, and more than half are women of color. The graph below shows that between 305,000 and 713,000 jobs would be lost nationally under a per capita cap system due to the potential cutback in HCBS expenditures and associated declines in beneficiaries. Given the level of projected reductions in overall Medicaid expenditures, we believe that a reduction of between 15 percent and 35 percent in total HCBS recipients represents a reasonable range of assumptions. For more details on our methodology, as well as state-by-state job loss estimates, see our report, Capping Medicaid: How Per Capita Caps Would Affect Long-Term Services and Supports and Home Care Jobs. As those with LTSS needs lose access to Medicaid-financed home care workers, their families – who already shoulder significant caregiving responsibilities – would need to pick up substantial additional duties. Unpaid family caregivers provide the majority of LTSS in the United States. In fact, in 2013, about 40 million family caregivers provided an estimated 37 billion hours of care to adults with ADL limitations. The economic value of this care totaled $470 billion – more than all Medicaid spending on health and LTSS combined and more than four times all government expenditures on LTSS. Thus, the LTSS system is highly dependent on the ability and resilience of family caregivers to support those with LTSS needs. 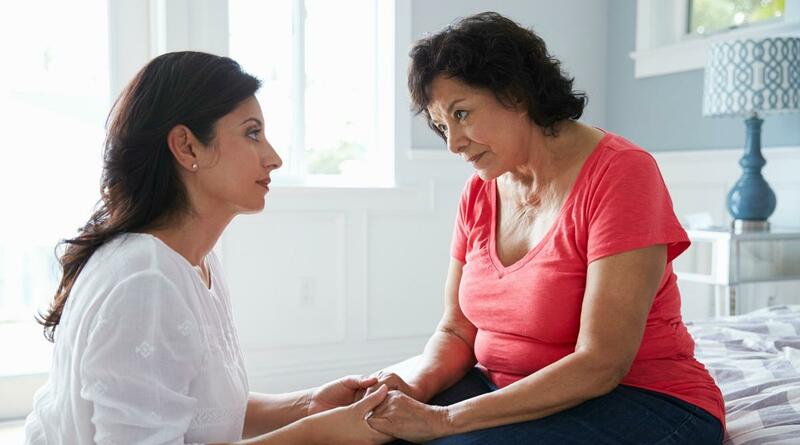 Caregiving is not easy and a variety of studies have documented the negative effects of significant caregiving on overall health, stress, mortality, labor force participation, workforce accommodations, and family finances. In many cases, increased caregiving hours also result in family caregivers having to leave their own paid employment. The graph below shows the anticipated increase in monthly hours of care that families would have to absorb in a per capita cap system. The range is based on the potential numbers of paid home care workers who would lose their jobs when HCBS recipients lose access to Medicaid-financed benefits. To predict the amount of caregiving hours that families would have to take on to maintain the same level of care, we assume that each paid home care worker provides 35 hours of care a week. Thus, aggregate job losses are multiplied by the 35 hour per week to obtain projections for the total number of hours that families would have to absorb to keep care levels constant. Based on these assumptions, somewhere between 42 and 98 million hours per month would be shifted to families, in order to assure that current levels of service support are available to adults who have LTSS needs. When these hours are evaluated at the average earnings of a home health aide – $11.35 per hour – this means that on an annual basis, the costs to families would total between $5.7 and $13.3 billion in additional care-related time. This burden would disproportionally fall on women, as they are more likely than men to take on family caregiving responsibilities. Clearly, individuals with LTSS needs would face significant negative impacts to their care in a per capita cap system. The potential loss of jobs in what is projected to be a high-growth segment of the health care field is significant, and would harm paid caregivers while adding additional strain to the tens of millions of unpaid family caregivers who already provide significant assistance to their family members and often experience heavy financial, emotional and physical tolls. Marc Cohen, PhD, is Research Director at the Center for Consumer Engagement in Health Innovation and Co-Director, LeadingAge LTSS Center at UMass Boston. Kris Wiitala is Program and Policy Associate at the Center for Consumer Engagement in Health Innovation. Health Innovation Highlights is a monthly newsletter that covers news and advocacy surrounding innovative projects underway to improve the U.S. health care system with the goal of realizing high-quality, equitable and people-centered care.